TNWRRC researcher Jon Hathaway provides some information about issues facing Texas and Louisiana following Hurricane Harvey. He is an expert in flooding, water runoff, and urban water issues. 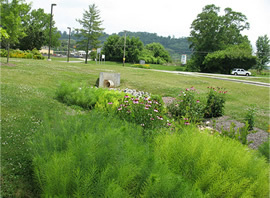 Read the December 2017 issue, of the Tennessee Stormwater Association's TNSA Times – a monthly newsletter containing relevant and timely stormwater information and resources, including local success stories. The Tennessee Section of the American Society of Civil Engineers (ASCE) has released the 2016 Report Card for Tennessee's Infrastructure. The report includes an evaluation of the state's aviation, bridges, dams, drinking water, inland waterways, parks, roads, schools, transit, and wastewater. 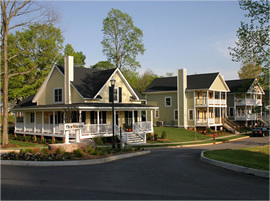 The U.S. Environmental Protection Agency video, Green Streets: The Road to Clean Water, highlights green streets as a technique for managing stormwater and providing other economic and community benefits. 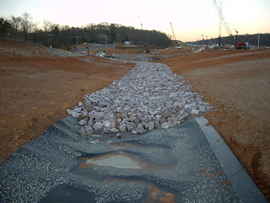 As of July 1, 2015, an updated version of the Tennessee Runoff Reduction Assessment Tool has been made available. You can download the newest version of the tool, as well as see a detailed list of all the changes that have been made at http://tnpermanentstormwater.org/TNRRAT.asp. 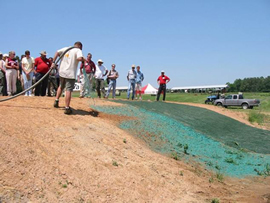 Tennessee Erosion Prevention and Sediment Control (TNEPSC) Training Program click here.